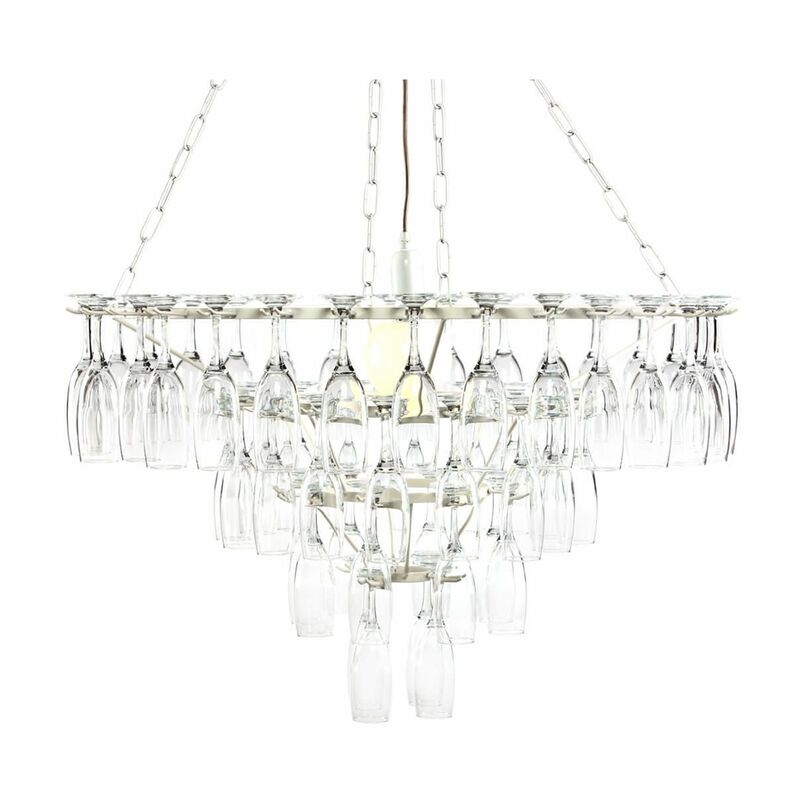 Add some sparkle and fizz to your home with this fabulous 4 tier champagne flute chandelier from Litecraft. The round white metal 4 tier frame features 60 real glass champagne flutes that sparkle and shine when lit. A perfect choice for people who love to entertain, hang the champagne flute chandelier above a dining room table to create a stunning centre piece that will leave guests in awe. It features an adjustable chain allowing you to hang it at any height to suit your room, with a maximum height of 153cm. Suitable for use with any B22 Bayonet cap light bulb.